Snap today announced exclusive shows on its Snapchat app which were created by professional storytellers, with a single short episode released every day. 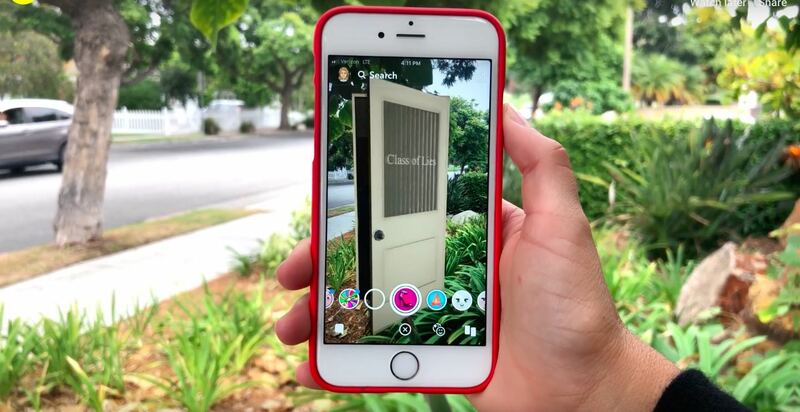 Unoriginally named Snap Originals, these things include interactive experiences—with new Show Portals, you just swipe up to step inside a scene to experience it for yourself. They’re promising comedy, horror, news, reality, documentary series and other types of videos. “Co-Ed”: A new comedy from the Duplass Brothers. “Class of Lies”: Mystery thriller from one of the minds behind “Riverdale”. “Endless Summer”: A documentary series following rising stars in Laguna Beach from Bunim/Murray, the creators of “Keeping Up with the Kardashians“. Check out the promotional trailer included below. The shows will have lenses, filters “and other fun ways for you to share the show experience with your friends.” You can discover more shows at snaporiginals.snapchat.com, then snap a code to watch one. Or, fire up the Snapchat app on your iPhone and go to the Discover page or find a specific show using the search feature. Look, I get it-engagement on the Snapchat app has been dropping ever since Facebook started aping its unique features, like Stories and lenses. They clearly need to do something about it, but I’m not quite sure that original shortform video is the right answer. Technology companies should stick to what they do best and leave quality content production to Hollywood. Then again, Snapchat might be a more suitable platform for quick entertainment than Facebook or Instagram.